Top-of-the-line power to fuel those who reimagine our world. When you need a workstation with the capability to run the most complex simulations and process huge amounts of data, the HP Z8 doesn't disappoint. 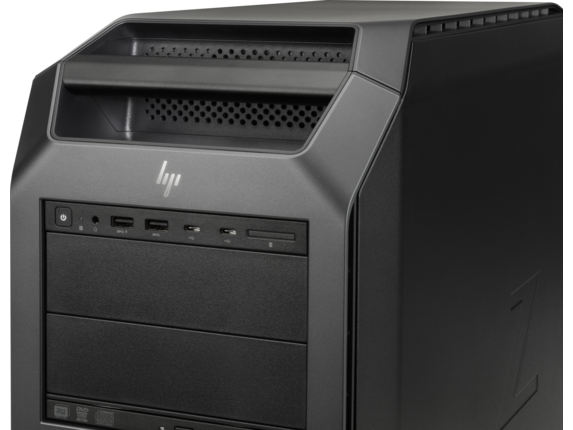 Run 3D simulations and edit 8K video in real time with world-class workstation components including the highest memory capacity available2. Achieve the performance you need with the latest Intel® Xeon® processors. Install the fastest professional grade storage hardware around, unlocking performance for storage-bound applications. Reach peak productivity with AMD and NVIDIA professional graphics. HP Z Workstations are the optimal platform for edge-computing environments. When you need real-time interaction, low latency and top-notch security on massive data sets, cloud computing canâ€™t compare with local Z Workstation power. 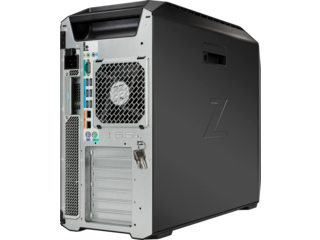 Run more simulations and design iterations or edit 8K video in real time with the relentless power of the Z8. As sophisticated on the inside as it is on the outside, the Z8 is designed with tool-less access to the interior for quick upgrades. Advanced security features come standard on Z8 Workstation. Rest assured your data is safe with HP Sure Start, the industry's first self-healing BIOS with intrusion detection. An innovative series of vents and ducts streamline airflow for ultra-quiet performance. Visualize work with an ultra-smooth VR experience. 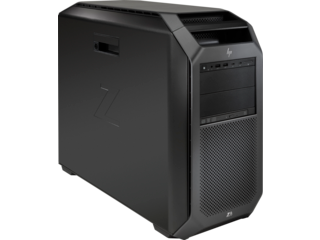 The Z8 workstation has high-performance processors and graphics cards to bring VR to life. Based on desktop workstations as of June 14, 2017 and power based on processor, graphics, memory, and power supply. Based on desktop workstations memory capacity as of June 14, 2017. 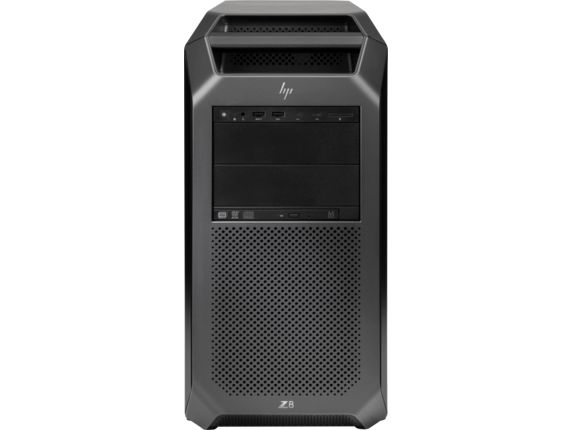 Based on HP's unique and comprehensive security capabilities at no additional cost and HPâ€™s Manageability Integration Kit's management of every aspect of a PC including hardware, BIOS and software management using Microsoft System Center Configuration Manager among desktop workstation vendors as of June, 2017 on HP Desktop Workstation with 7th Gen Intel® Processors. 2 PCIe x4; 3 PCIe x8; 4 PCIe x16 1 PCIe x8 has rear bulkhead access and 2 PCIe x8 are internal access only. Slot 1: Transforms to PCIe x8 when 2nd CPU is installed. Slots 3 and 6: are available only when 2nd processor is installed. PCIe x16 - Available only when 2nd processor is installed. Some vPro functionality of this technology, such as Intel® Active management technology and Intel Virtualization technology, requires additional 3rd party software in order to run. Availability of future "virtual appliances" applications for Intel vPro technology is dependent on 3rd party software providers. Microsoft Windows required. For systems installed with Microsoft Windows 7 (Ultimate, Enterprise or Professional), the maximum accessible system memory is 192 GB. For systems installed with Microsoft Windows 8.x (Enterprise or Pro), the maximum accessible system memory is 512 GB. Wireless access point and Internet access required. Availability of publis wireless access points limited. The specifications for the 802.11ac WLAN are draft specifications and are not final. If the final specifications differ from the draft specifications, it may affect the ability of the notebook to communicate with other 802.11ac WLAN devices. HP Remote Graphics Software requires a Windows, Linux®, or Mac®OS X 10.10 and newer operating system and network access. HP Secure Erase: For the methods outlined in the National Institute of Standards and Technology Special Publication 800-88. Supported on Elite platforms with BIOS version F.03 or higher. The AMD Radeon™ Pro WX 4100 Graphics is available only as an aftermarket option. HP 10GBASE-T Dual NIC Z6/8 G4 is sold separately or as an optional feature. Requires 2 CPUs and 2933MHz memory. Available in the first half of 2019. Windows 10 Pro is preinstalled. Windows 7 media is only available upon request from HP Customer Support. You may only use one version of the Windows software at a time. Switching between versions will require you to uninstall one version and install the other version. You must back up all data (files, photos, etc.) before uninstalling and installing operating systems to avoid loss of your data. 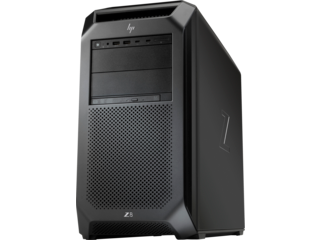 Protected by HP Services, including a limited 3 years parts, 3 years labor, and 3 years on-site service (3-3-3) standard warranty. Certain restrictions and exclusions apply.